IT’S “ceasefire” for Fourth District Representative Juan Pablo “Rimpy” Bondoc and Mayor Leonora Wong of San Simon town. After years of “word wars” and mudslinging between the two, Bondoc and Wong finally decided to leave their differences behind and make peace in order to better serve their constituents. 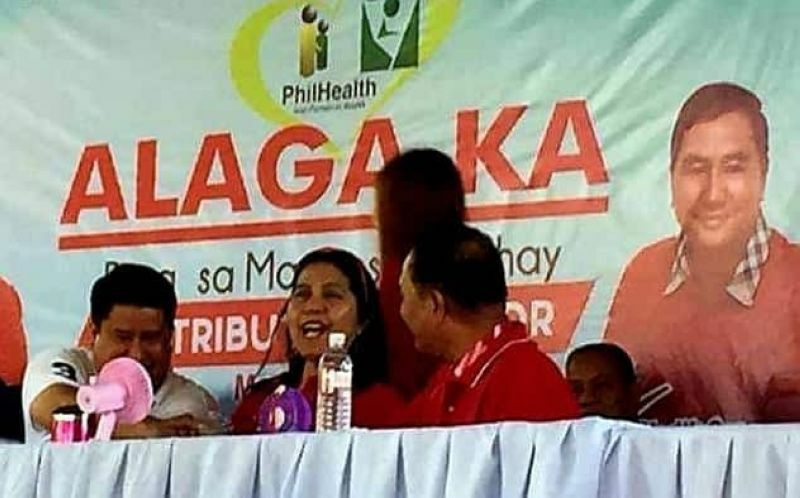 The reconciliation of Bondoc and Wong was made public on Thursday, March 21, before hundreds of Simonians and other local officials led by Governor Lilia “Nanay” Pineda and Vice-Governor Dennis “Delta” Pineda during the PhilHealth Alaga Ka program. “It’s for the sake of the people, the Simonians who are expecting the best from us as their elected public servants and the betterment of my hometown,” said Wong. Wong also highlighted the sincerity she felt from Bondoc in the momentous reconciliation that transpired between their camps. “I believe that Congressman Rimpy is very sincere in this, I can feel it. And I know that our union is not just artificial, not a mere press release but is very genuine,” Wong said. Wong, meanwhile, said that despite the unity between their camps, she still recognizes and respects the commitment of Bondoc to other candidates in the opposing team for the coming elections. “We may have different teams in the local but what is more important is that we are now civil with each other and Simonians will not be caught again in our misunderstandings, and we are united in supporting Governor Nanay and Vice-Governor Delta,” she said. Bondoc, for his part, said that the unity that came between them is a result of his alliance with the Pineda camp. Wong is a known staunch ally of the Pineda family since she kicked-off her political career in 2010. “We have been advocating for unity and Vice-Governor Delta and I have been very vocal about our unity so why not spread the good vibes and make friends with everybody?” he said in his speech. Former Mayor Rodrigo “Digos” Canlas, who is now seeking a comeback, part, expressed delight over the new development in the landscape of local elections in San Simon town. “I have been with Congressman Rimpy before, I was friends with him, and I am very happy that we overcame whatever was between us and that we can be together again in serving Simonians, especially if I will be elected mayor again,” he said. Canlas stressed that the unity between their camps equates to better delivery of public service in terms of health service, infrastructure and social services, among others, now that the national, provincial and local governments can work in harmony in developing San Simon.